The 22s is designed for high-end FTTH splicer applications in FTTX, Data Center / LAN and Access Networks. 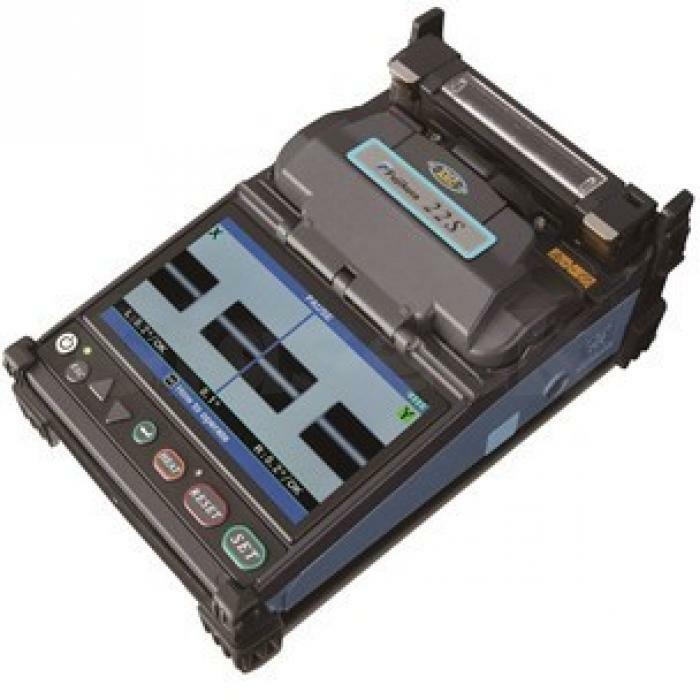 22s offers an active V-Groove alignment single fibre splicer for reliable and improved splicing performance for a range of different fibres; SMF, MMF, DSF, NZDSF. Applicable from 125m cladding diameter/up to 3mm sheath diameter fibres with sheath clamp. 22s provides advanced capabilities; including splice result storage of 200 splices, 5-16mm short cleave length splicing . Quick splicing time is produced in 9 seconds (single mode fibre) and an automated tube-heating time of 30 seconds (single mode 60mm). Singe-Mode Fibre, Multimode Fibre, Dispersion-Shifted Fibre (DSF), Non-zero dispersion-shifted fibre (NZDSF). Dimensions measure 120 x 189 x 71mm.